(Reuters) - An Arizona gun dealer balked at continuing to sell weapons in a sting operation meant to track arms flowing to drug cartels in Mexico as early as December 2009, Republican lawmakers said on Monday. Two guns sold in the operation, dubbed "Fast and Furious", ended up almost exactly a year later at the crime scene where a U.S. Border Patrol agent died in a shootout with illegal immigrants trying to cross into the United States. The sting operation is becoming a major headache for the Justice Department, which oversees the ATF and prosecutors in Arizona who ran the sting that was aimed at tracking guns to Mexican cartel leaders in hopes of nabbing them. Republican lawmakers have accused the Justice Department of withholding for months requested documents and interviews with key officials about the program, a charge officials denied. Representative Darrell Issa, head of the House Oversight Committee, and Charles Grassley, the senior Republican on the Senate Judiciary Committee, renewed their demand for documents related to December 17, 2009 meeting with a gun dealer. They said they have evidence that the dealer was worried about a spike in sales to those reselling the guns to the cartels: a handful of buyers bought 212 guns in a few days. "According to witnesses, that meeting was for the purpose of convincing the gun dealer to continue selling to the suspects and continue providing information to the ATF despite misgivings caused by the high volume of purchases," Issa and Grassley said in a letter to Attorney General Eric Holder. ATF correspondence released three months ago suggested gun dealers began balking in April 2010, not December 2009. Prosecutors painted a different picture of the meeting in a January 2011 memo turned over to lawmakers. It said the dealer was concerned about endangering himself or violating the law. He was told he did not have to participate in the sting. But the gun dealer was also told that information he did give about large firearms sales was "very important and useful to ongoing ATF investigations," said the memo, obtained by Reuters, suggesting he was pressured to continue in the sting. 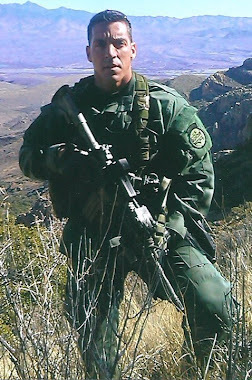 U.S. Border Patrol agent Brian Terry died in a December 2010 shootout and two guns found there have been traced to the sting. It is not yet known if they fired the fatal shots. Acting ATF director Kenneth Melson accused the Justice Department of missteps in a closed-door interview with congressional investigators earlier this month, saying the agency should have given information to lawmakers more quickly and officials were trying insulate political appointees. "My view is that the whole matter of the department's response in this case was a disaster," he said in a transcript included in the letter. The Justice Department has denied blocking the probe. "Any notion that the department has failed to cooperate with the investigation is simply not based in fact," said Justice Department spokeswoman Tracy Schmaler.